Some songs have a sound that you know will never be out of your head. Those stadium anthems that play at every game to get the crowd pumped. You know the type, those hand clapping, foot stomping songs with the vocals that you just want to shout out loud? That's exactly what this thumping track from Texan band Cardboard Kids sounds like. 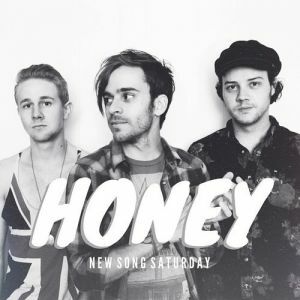 "Honey" is the most recent single from the Cardboard Kids. The combination of the dominating bass drum, epic guitar riffs, and the phenomenal vocals will have you tapping your foot in the first 30 seconds or less. The band have managed to capture the essence of classic rock tracks (think: Queen's "We Will Rock You"), while also incorporating elements of other genres, like country and soul. It is this self-prescribed "rock and soul" sound that Cardboard Kids have made characteristically their own, and I can not wait to see more like it in the future!